In our next installation of Quick Six, The Bike Shop sat down with Flavio Caciuffo, engineer at GE Aviation business, Avio Aero. Caciuffo is the Radial Clearances Designer of the Low Pressure Turbine (LPT) for the new GE9X engine. A few months ago he had the unique opportunity to be a part of the in-flight tests team on board GE Aviation’s Flying Test Bed during a test flight of the GE9X. Experiencing a test flight on the engine he helped design was a dream come true for Caciuffo. 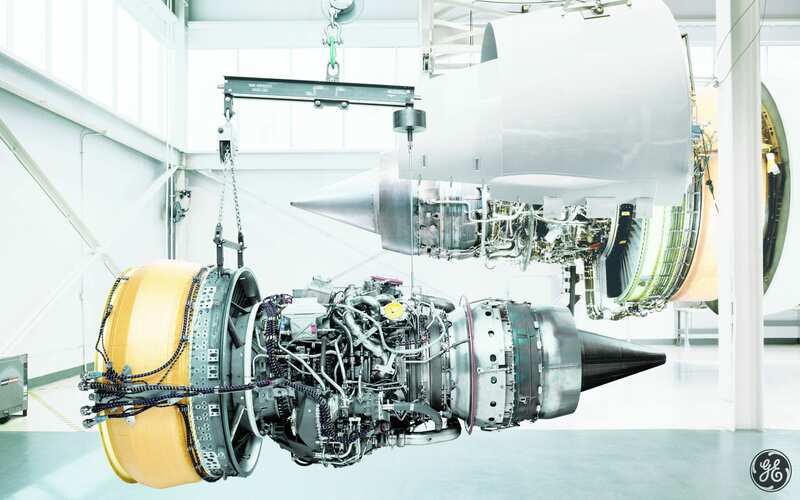 What is your role at GE Aviation in Avio Aero? Tell us about your experience in the United States. Not everyone has a chance to be part of the on-board test team. How did this opportunity come about? “During these campaigns, called Flight Test Bed, flights are made on alternate days. On days when you’re not flying, the aircraft is returned to the hangar, where maintenance or inspection can be performed if necessary. Flight days, though, always begin with a pre-flight briefing, during which the sequence of tests scheduled for the day is outlined. I made two flights of about 7-8 hours each. On boarding for the first flight, I was able to experience the thrill of opening the emergency door, for testing reasons only, of course. On board you’re all equipped with headphones, which put you in communication with the pilots and the entire crew. It’s like being in an action movie. During the test phases you’re not directly involved in, you can relax a bit. There are even sweet and savory snacks on the plane, as well as cool drinks. And when you look out the window, you can see Death Valley right below. What impressed you most about this amazing experience? “Just how important my technical comments and opinions were to the test, and how the team valued all of my input. During flight, before performing certain maneuvers or operations that may impact the distances or spaces between the internal parts of the turbine, the pilot or other crew members explicitly request the ‘GO’ from us, the Clearance Designers, by radio before continuing. For example, as I said before, when the pilot accelerates, a Clearance Designer can even ask them to stop accelerating or decelerate if technically required. For me it was a truly fascinating, almost surreal experience. What is the most exciting aspect of your work and your main mission? “To date, the most exciting thing for me is to see the turbine that we designed, built, assembled and tested actually in flight. And through these tests, understand what we were able to predict analytically, what already works well and what could still be improved. More generally, what I like most about my work is the idea of contributing even a very small part to the development of the GE9X, an ultra-high technology project, which will have a considerable global impact once it’s on the market. Caciuffo has worked in Avio Aero since 2013. He graduated from Polytechnic University of Turin with a degree in Energetic and Nuclear Engineering. Quick Six with Ashley Ringer, a mechanical design engineer in Dayton, Ohio. Good article, Flavio. Great job on the GE9X LPT design! Nice experience Flavio! Thanks for sharing and keep up with the good work at Avio.